So what ideas do you have for the next expansion? This is a topic that often pops up and people are always happy to discuss it. 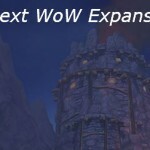 This time one of the heavy duty WoW sites, Joystiq, has put up a “Community Blog Post” idea: Community Blog Topic: Pitch your World of Warcraft expansion, which they posted about a week ago. As you might expect there are some pretty interesting ideas posted there and in the comments. Some people also took the ball and ran with it on their own blogs and I’ve linked to some of those website posts below. One of the comments (ZacharyBrandon) is Descent into Madness, which looks pretty cool to me. Another idea, The Path of the Titans (by Tott_Donetta) looks good to me. It adds no new levels, but has a lot of story and involves us (at level 100) with the Titans. Cartre offers Rise of the Damned where Sylvanas leaves the Horde (!) and makes offers to high level player to join her new faction. Several others have something to do with the Burning Legion.. There are a lot of good ideas in the comments. Hopefully the Powers that Be in Blizzard are listening! Assaults by various factions and enemies. So Ok, the Burning Legion invades. I want to see them take something. A server wide event could have the BL, or some other invader, attack and take a particular town or area. The invaders then have to protect it against players. If players can react quickly enough they can repel the invasion. If they’re coordinated enough then can retake the town. If they ignore the situation then eventually bigger cities fall. This could also run with an NPC Horde or Alliance army. Players could join in. Naturally a system would have to be set up so that one site isn’t effectively locked out of the game. New races are fun, but maybe there are enough? I’d like to see Ethereals, perhaps as a neutral race. They could earn faction rep if they choose, which might lose then rep with the other faction. IE, get the Horde to like you and the Alliance will come to hate you. Much like the Aldor on the Scryers. Some reason for players to be in the lower level zones, and be doing something useful rather than just ganking low levels. Maybe get missions form the faction bosses. Perhaps they get word that such and such town will be invaded and they heroes need to stop the invasion. That could be instanced or phased and would be different from the server events above. Optional class quests for all classes. Completing the quests would give rep with a class appropriate faction and perhaps some minor perks. 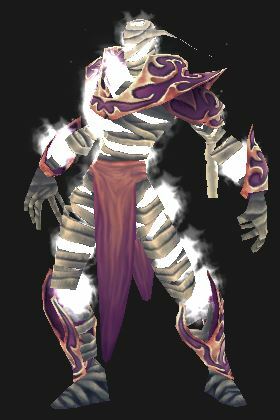 There used to be a number of these, I’d like to see them come back. These were posted on various websites. World of Lae came up with some cool ideas in Secrets of Argus. She introduces a new zone, new races, a new Paladin spec, and some cool story ideas for several patches. Personally I think it also could easily be tweaked to fuel more war between Horde and Alliance, since the seeds of mistrust are already old and deep. The White Pine Journal suggests being able to change factions via an epic quest line. Since Pandas can be either faction, why not anyone else? To facilitate this Sylvanas goes a bit nuts and leaves the Horde. The Alliance wants her and so does the remaining Horde, for different reasons. Sportsbard’s idea has the Explorer’s League and the Reliquary finding another continent, perhaps on the other side of the world. (It does make sense that they’d be sending people acorss the oceans…) Offered up are the new lands, Sylvanas effectively leaving the Horde (seems like a lot of people like that idea,) Bounty Hunter and Bounties, andother vote for Ethereals, and a new Battleground. The Exodar Sisters raise the level cap to 110 (and add an insta-level to 100,) the Vrykul as a playable race (works for me,) moe dungeons and rads, a race based Garrison system. The hook? Death Knight Lore. The DKs split into factions, with the Ebon Blade becoming very unhappy with the new Ebon Insurrection. Still Searching makes a good point about “why the devs job is so difficult. People don’t just want different things, they want opposite things.” His expansion idea takes advantage of the fact that the heroes have been gone for awhile, in another time and place. While they’ve been gone Sylvanas and others have been busy. There’s lots of tension remaining and both sides need to get some things sorted out. They’re also in need of resources and so are exploring. Some neat ideas here. Check ’em out and leave your own thoughts about expansion ideas. Maybe give this post a like and/or +1, etc?